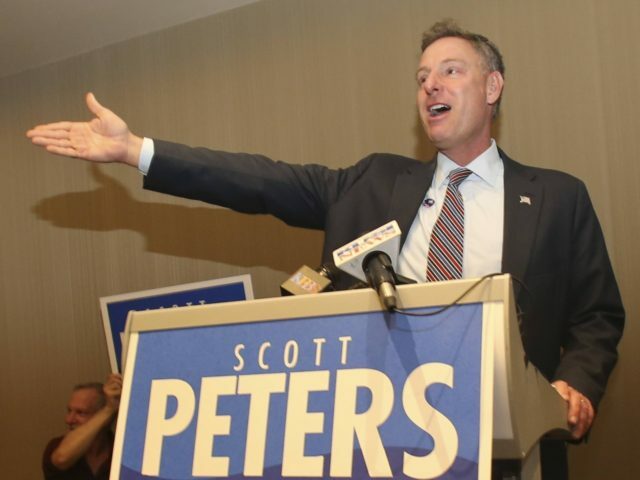 A local media host in San Diego blasted incumbent Democrat Scott Peters (D-CA) on Wednesday morning for avoiding a debate with Republican challenger Omar Qudrat in the 52nd congressional district. Qudrat told KUSI’s Carlos Amezcua, host of Good Morning San Diego, that Peters had refused to debate him, and the two would only meet at a closed-door forum at a retirement community. participate in his program. “What kind of debate is that — you can’t see it?” Amezuca asked. Qudrat said he would accept a debate with Peters in any format. Qudrat is a former terrorism prosecutor — “the man who put [9/11 mastermind] Khalid Sheikh Mohammed in jail,” according to Rep. Ed Royce (R-CA), the retiring chair of the House Foreign Affairs Committee. He is also a captain in the U.S. Army Reserve, and Muslim Republican who is opposed to shariah law in the United States. The 52nd congressional district is a modestly Democratic seat, where there have been competitive races in recent years. In 2014, Republican Carl DeMaio, who has led the campaign for Proposition 6 to repeal the state’s new gas tax hike, mounted a strong challenge there. Qudrat told KUSI that veterans’ homelessness was one of his most important issues.